A large fire was reported at a 6-story building this afternoon at 3315 Pleasant Avenue in Weehawken. According to Fire Chief Frank Montagne, the fire started shortly after 3pm in the bathroom of the third floor causing thick smoke to travel quickly to the upper floors. North Hudson Fire Department evacuated everyone out of the building. 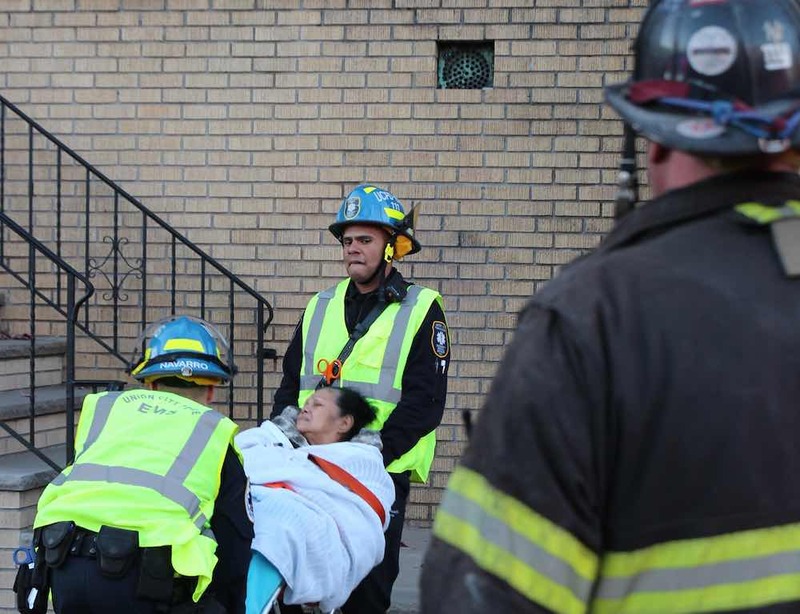 1 elderly woman was treated by EMS due to smoke inhalation, Firefighters located two pet dogs in the fire apartment and attempted to revive them, but to no avail. The fire was reported shortly after 3 p.m., causing traffic backups in the area of the Lincoln Tunnel.